After they all finished eating, Louis was fast asleep in his best friend&apos;s arms from how exhausted he was with his hand on top of his baby bump. Zayn asked in worry, "Are you sure you don&apos;t want me to carry him upstairs? You two might be uncomfortable in this position." Niall shook his head as he looked down at him and said, "He finally drifted off and it was so hard to get him to sleep," and moved his fringe to the side so that it won&apos;t disturb him as he slept peacefully. Liam came out of the kitchen while wiping his hands and said, "I just finished cleaning up in there and oh, he finally slept," and smiled in an impressed manner. Zayn looked down at the sleeping omega and said, "I&apos;m carrying him upstairs, none of you seem comfortable," and slowly picked him up in his arms. Liam and Niall froze in their spot as they watched the omega being carried, hoping that he wouldn&apos;t wake up. When he didn&apos;t, Zayn said with his eyebrows raised, "See? He&apos;s still asleep," and made his way over to the elevator. Liam followed him so that he could help him by clicking on the elevator button and once the door closed, he made his way back to his omega. Niall was rubbing his baby bump lovingly and when he noticed that his mate was back, he said, "What shall we name our baby boy?" Liam said randomly, "Ethan seems like a pretty cool name." Niall thought about it for a moment and said, "How about Matthew?" Liam thought about it for a moment and said, "Kyle sounds good too." Zayn walked into the room and said, "Who&apos;s Kyle?" 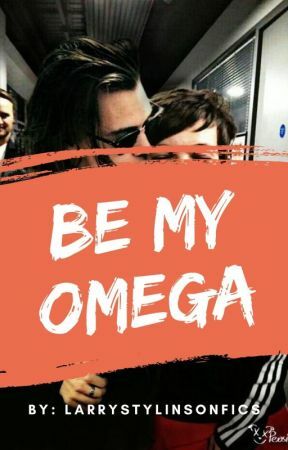 and sat down next to his omega, making him in the middle of his alphas. Liam looked at his alpha mate and said, "We are picking baby names and we have no idea what to name our baby." Zayn shrugged and laid his back against the couch as he said, "Doesn&apos;t matter as long as our baby turns out perfectly healthy." "Okay, how about the name Simon?" Niall asked as he looked at his alphas. Zayn said, "But isn&apos;t the name so simple?" The omega smirked and said, "I thought you didn&apos;t care as long as our baby is healthy." Zayn rolled his eyes, obviously amused with his omega&apos;s smart mouth and said, "Fine, what did you guys have in mind?" Liam thought about it, trying to remember and said, "Currently, it&apos;s either Kyle, Matthew or Ethan." [A/N]: Comment here if you want to suggest a different name for their baby boy or if you want to pick out of the three names. Niall shut his eyes as he laid his head on Zayn&apos;s shoulder and said, "I feel like sleeping now that I ate but I don&apos;t want to leave him in this house all by himself." Liam looked down at his precious omega and said with a smile, "Do you miss living with him?" Niall nodded and yawned then said, "Course, he&apos;s my only friend and I don&apos;t want to lose him." Zayn and Liam looked at each other for a moment before they adverted their eyes down to their omega until he fell asleep in their arms. Once Harry was back home, Liam carried his omega to the car bridal style while Zayn stayed back to talk to his best friend. He said, "Harry, can we talk about something?" Harry shrugged off his jacket with his eyebrows furrowed in confusion and said, "Sure, is everything alright?" and hung his jacket then started taking off his shoes. Zayn said, "Everything is okay, it&apos;s just that my omega kind of misses living with your omega. Is it alright if we stay at your place every weekend or you stay at our place every weekend until the babies are born?" Harry&apos;s face relaxed and said, "We have too many guest rooms, we would love to have you guys around. Louis would be thrilled." Zayn smiled at that and said, "Alright, I will go now. Also, check if your omega is alright, he has been whimpering and unable to sleep all day until he finally did. Anyway, I&apos;ll see you around," and left while closing the door behind him. Harry stood there for a moment in shock, locked the door for safety reasons and ran upstairs instead of using the elevator. When he got into their bedroom, Louis was laying down in the middle of the bed with a hand resting on top of his baby bump and the view will always make his alpha smile. After he undressed himself, he got under the covers with him and slowly brought him into his arms. He kissed his neck softly and furrowed his eyebrows when he realized that his omega was heating up. He sat up a bit and touched his forehead with his knuckles to check his temperature. Harry got out of the bed with his phone in his hand and closed the door behind him quietly before he started dialing Dr. Jefferson&apos;s number. "Mr. Styles, what can I do for you?" The alpha rubbed his neck nervously and said, "I was just going to go to bed when I realized that Louis is heating up and I would check his temperature but I don&apos;t know where I placed the thermometer. Should I get worried?" and started biting his nails which was an unusual habit. "It could be a normal thing or it could mean too many things. Is he asleep at the moment?" Harry answered immediately, "Yes, he&apos;s resting at the moment. He has been in pain these days but it would subside usually. Now, I&apos;m getting worried," and started pacing around the hallway. "Can you check his heartbeat? Place two fingers gently on his neck or wrist." Harry gulped the lump in his throat and said, "H-He is breathing well, I&apos;m sure of it," and felt his heart stop beating for a second just at the thought of anything wrong with his omega&apos;s health. He made his way back into their bedroom and sat at the edge of the bed before he took his wrist gently into his arms while looking at the watch that he placed earlier in the bedside table. The alpha was relieved when he realized that his omega was breathing normally. He was just worried about losing him and his pups all at once. He whispered through the phone, "He&apos;s alright." "Listen, Mr. Styles, if your omega doesn&apos;t get better the next day then bring him to me and state it as an emergency." 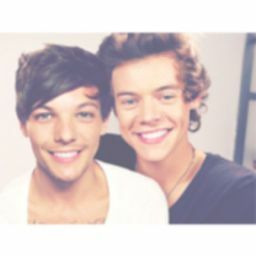 Harry sighed while looking up at the empty ceiling and said, "Thank you. Goodnight Mr. Jefferson," and hung up then kept his phone aside. He got under the covers and brought his omega back into his arms as he whispered, "I love you, I do," and shut his eyes until he fell asleep to his omega&apos;s strong scent.